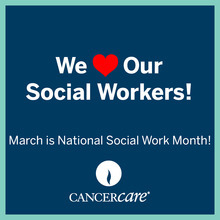 Today’s guest blog post comes from CancerCare Social Worker, Lauren Chatalian, LMSW. As a member of CancerCare for Kids Team, Lauren shares her experience helping families care for a child with cancer. 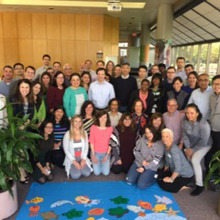 On April 24, Merck held a volunteer day in its New Jersey office to support CancerCare’s Healing Hearts Family Bereavement Camp, a retreat for families who have lost a loved one to cancer. The event was attended by over 40 Merck employees and led by CancerCare Director of Regional Programs, Kathy Nugent, LCSW. May is Mental Health Awareness Month. Today’s guest blog post comes from CancerCare Social Worker Maryrose Mongelli. Maryrose shares her experience providing emotional support for individuals coping with cancer. 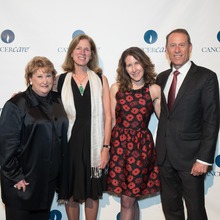 Philanthropists, health care industry leaders, patient advocates, and CancerCare supporters attended the 74-year-old national nonprofit’s 2018 Gala on April 25, which took place at New York City’s Cipriani 42nd Street. This annual event raises crucial funds to support the organization’s free services for anyone coping with a cancer diagnosis. Last year, Marjorie’s whole world fell apart when her mother was diagnosed with pancreatic cancer. Shortly after that, her sister-in-law was also unexpectedly diagnosed with stage IV lung cancer. After losing both relatives, Marjorie sought out grief counseling, which is where she first heard of CancerCare. 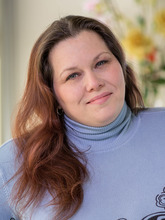 She called the Hopeline, and was connected with Kathy Nugent, LCSW, an oncology social worker in CancerCare’s New Jersey office. 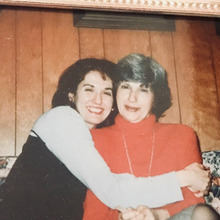 Through her individual counseling, Marjorie was able to process the grief she was feeling, as well as talk through the mental and physical toll of caregiving. 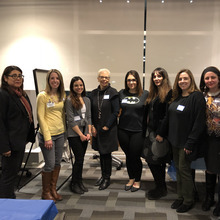 On Tuesday, March 6th, CancerCare’s New Jersey office, in partnership with The Valley Hospital, hosted a fun-filled Super Hero Workshop for families affected by cancer. Each academic year, CancerCare welcomes students for a second-year field placement, who have an interest in the field of oncology social work. The internship program offers students an opportunity to expand their knowledge of the physical, emotional and spiritual impact of cancer on a person’s life. As part of National Social Work Month, we asked our current interns what skills they have gained while interning at CancerCare and what their favorite part of interning here was.